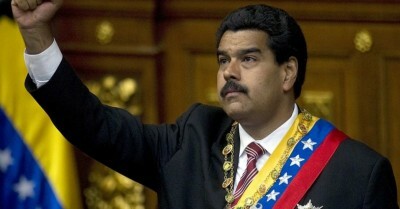 Venezuela, A Threat to US National Security?? : Obama Extends Executive Order Targeting Venezuela for Second Time. Outgoing US President Barack Obama renewed a controversial executive order Friday that designates Venezuela as an “unusual and extraordinary threat” to national security. In one of his last acts as president, Obama stated that he had decided to extend the executive order given that Venezuela’s situation had “not improved” since the decree was first renewed last March. In particular he cited the Venezuelan government’s alleged “erosion of human rights guarantees, persecution of political opponents, curtailment of press freedoms, use of violence and human rights violations and abuses in response to anti-government protests, and arbitrary arrest and detention of anti-government protestors, as well as the exacerbating presence of significant government corruption,” as the reasons for the renewal. Initially approved in March 2015, the Executive Order declares a “national emergency” with regards to Venezuela and was accompanied by US sanctions against several Venezuelan officials. The move was immediately met with protest from the Maduro administration in Venezuela and its allies in Latin America, while over a million Venezuelans also signed a public petition calling on Obama to repeal the order. Although the decree does not technically expire until this coming March, a spokesman for the National Security Council said that Obama had decided to “renew all national emergencies” in order to guarantee “a smooth transition” over to the new administration of Republican President-elect Donald Trump next week. “This will ensure that the new administration will not need to immediately undertake renewals necessary to safeguard our national security as it works to put its national security team in place and secure Senate confirmation of relevant appointees,” said spokesperson Ned Price. Although the order may be repealed by incoming President-Elect Donald Trump, it is unlikely that the new president will do so. Trump has made several public statements condemning Venezuela’s left-wing government as dictatorial. Reacting to the news on Friday, Venezuela’s Foreign Minister, Delcy Rodriguez, said that her government “categorically rejected” the renewal and labelled it a “new aggression by Barack Obama” as well as part of his “legacy of hate and serious violations of international law”. Other countries affected by the move are Iran, Cuba, Libya, Zimbabwe and Russia.